Are the horizontal plumbing lines in your Chicago multi-unit building clean and in good repair? If you can’t answer that question, there’s a good chance you have hidden blockages in your horizontal drain lines that could cause backups and floods of blackwater and greywater. Cleaning your pipes with hydrojetting and installing pipe liners can help prevent costly drain clogs in your multi-tenant residential building. The drain lines in your Chicago multi-unit building drain black and greywater from your toilets, showers, sinks, dishwashers and other water-using appliances and sends it to the water treatment plant for sanitation. When your horizontal drain lines are clogged it can send this filthy water onto the floors and down through the ceiling of your high-rise building, causing major damage and presenting a health hazard to your residents. The degree of hazard is dependent on whether the water is classified as black or grey. Blackwater – Blackwater is extremely hazardous to human health. This wastewater contains sewage, including human waste, mold, mildew and potentially harmful chemicals, bacteria, and microbes. Common illnesses associated with blackwater include norovirus, cholera, and typhoid. Greywater – Greywater is slightly less hazardous than blackwater, but it can become blackwater if it is not professionally removed within two days. Greywater is considered any water that backs up from a dishwasher, washing machine, bathtub or sink drain. In Chicago multi-unit buildings with multiple floors, it is imperative that you keep the drains flowing. 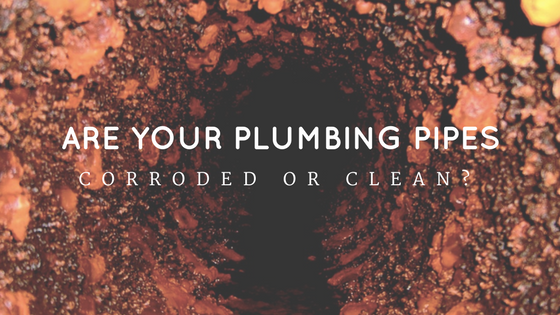 When clogs occur in horizontal drain lines, they can cause backups in multiple tenant units, creating a plumbing emergency and high repair bills. If a drain line becomes corroded, cracked or bellied, it can create an area where solids stick. Once a few solids have stopped flowing within the line, it leads to a quick build-up of additional solids and partial or complete clog. Residents may also inadvertently cause clogs in the drain lines by putting line damaging items down their kitchen sinks. Those items include any type of wet wipes or sanitary products other than toilet paper as well as grease, fruit and vegetable rinds and meat trimmings, like fat and gristle. These items may not readily flow down your drain pipes or they may congeal as they cool, causing blockages of the drain lines. If these items happen to reach a plumbing riser, the clog can affect multiple floors. In order to keep the drains flowing in your Chicago multi-unit building, our drain lining technicians recommend regularly jetting your plumbing lines. Water jetting completely removes clogs using high-pressure water, which rinses the clogs out of your lines and sends the debris into the city’s municipal wastewater management system without damaging your plumbing pipes. This is a cost-effective way to prevent emergency plumbing repairs and the backup of unsanitary wastewater in your building. It’s also an essential step when it comes to lining your pipes with epoxy pipe liners, which increase the durability and longevity of your drain lines. Here at NuFlow, serving all of Chicago and the greater Chicago area, we water jet plumbing lines before we install our durable epoxy pipe liners. Water jetting horizontal drain lines and plumbing risers ensures that the inside diameter of the pipe is completely clean, smooth and ready to take the epoxy pipe liner, which is a durable way to restore your plumbing pipes without ripping out expensive drywall and finishes. 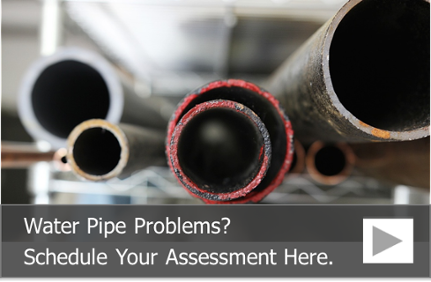 To learn more about having your drain lines lined with an epoxy liner and to schedule a pipe assessment, call us at 815-790-9000.